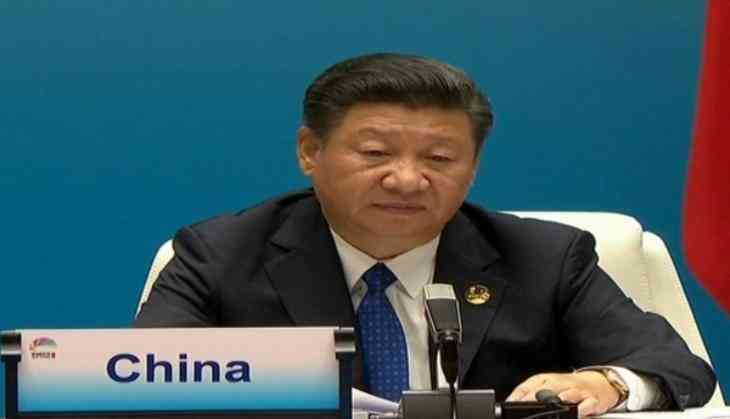 Chinese President Xi Jinping is chairing the 'Dialogue of Emerging Markets and Developing Countries', which is being attended by the leaders from the five BRICS countries, as well as the leaders of Egypt, Mexico, Tajikistan, Guinea and Thailand, at Xiamen. Brazilian President Michel Temer, Russian President Vladimir Putin, Indian Prime Minister Narendra Modi and South African President Jacob Zuma were welcomed by Chinese President Xi Jinping before the opening of the summit, themed "BRICS: Stronger Partnership for a Brighter Future." Chinese President Jinping on 4 September chaired the ninth BRICS summit and called the member countries to intensify cooperation and contribute more towards a world troubled by protectionism and imbalanced development. "We must redouble our efforts to usher in the second golden decade of BRICS cooperation," President Xi told leaders of Brazil, Russia, India and South Africa at the summit in the south-eastern city of Xiamen, Fujian Province. It was the first time that Chinese Prsident Xi had presided over the BRICS Summit and the third time for him to chair major international events in a year, following the G20 Hangzhou Summit and the Belt and Road Forum for International Cooperation in Beijing. The Prime Minister and other leaders of BRICS bloc adopted the Xiamen Declaration at the ninth edition of the BRICS Summit on 4 September. The leaders of BRICS - a grouping of Brazil, Russia, India, China and South Africa,for the first time,named Pakistan-based groups like Lashkar-e-Taiba, Jaish-e-Mohammed and the Haqqani network in a strongly-worded declaration condemning terror.